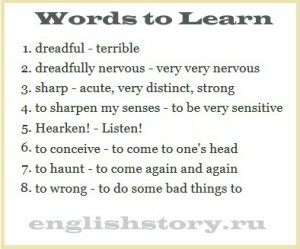 This was the list of English Words for the advanced level. Best luck with learning English! See you soon. This entry was posted in Edgar Poe / Эдгар По.